“Debbie Macomber’s Cedar Cove” Season 2 also stars Dylan Neal (50 Shades of Grey, “Arrow”) as Jack, Sarah Smyth (“Supernatural,” 50/50) as Justine and Teryl Rothery (“Supernatural,” “Arrow”) as Grace. 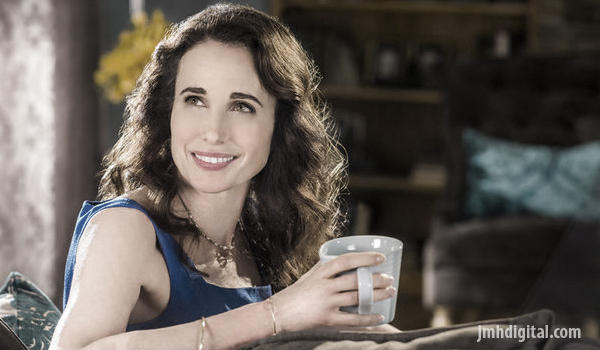 Andie MacDowell is back as Judge Olivia Lockhart, who finds herself in the middle of her small seaside town's drama, relationships and excitement. Now happily back together with Jack, Olivia becomes the stable force who holds him together when his troubled son Eric returns. As Olivia reaches new milestones in her relationship with Jack, she remains a reliable best friend to Grace and a supportive mom to Justine, proving this judge continues to capture the spirit of the small town in her big heart.